Ask Digby - From Bella the Pug! My point is, I I havent stoped thinking about you since that day.. I don't know if you noticed me, I am fawn/black, cuddly, I have huge glassy googly eyes which my Mummy tells me make me so beautiful! I haven't told anyone about how I feel until now.. Digby I think I love you. I know I am older than you and a different breed and I have had an operation so cannot offer you little Digbys..but I can offer you my love. I know as you are very famous that you have many girls and boys interested in you, you can't help being so hot! Please Digby if you cannot return that love I will understand, I will be gutted and most likely not eat my dinner and not play with my hamburger squeaky toy for a whole 5 mintues but I hope and pray I can be your girl. 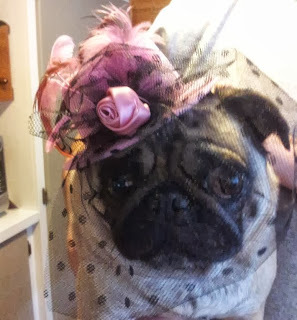 PS I have sent you a picture of me in my 'going to the Races' hat, I know you like dress up. Digby's guide to Social Media! We are constantly being asked "How do you have so many followers? My dog is pretty cool. Heck, I am pretty cool! I want to have as many followers as you one day! Will you teach me?" and, well, Digby has replied to every single one of them demanding bacon - and then we'll talk. As yet, no bacon has materialised so for a limited time Digby is offering this rare insight to you absolutely free! He'd still really like the bacon, though. 1. Don't have an objective. Just let things flow naturally. If you do have an objective, make sure it involves silly hats. 2. Make it all about you! Selfies are the perfect way to show the world that you are you, and you are awesome. 3. Include those closest to you. Even if your little brother is a little bit "Special" and copies everything you do, remember that you love him and if everyone else loves him too, that's okay. 4. Tell a story when you post. Don't post for the sake of posting; make sure that what you do and say MEANS something. Even if all you're saying is "Look at how absolutely fabulous I am." 5. Accesorise! Enhance all of your best features. Glasses tell the world "I'm smart, and smart people are where it's at. It's okay if my intelligence makes you feel inferior." 6. Keep the people happy! If what makes them happy is an instagram account filled with your beautiful mug, make it happen. 7. Remember the "Social" part of social media. Show the world how many friends you have - it'll make them want you more. 8. Puppies! If you aren't a puppy by nature, that's okay. Just find one, because everyone loves puppies. Cats just won't do. 9. Don't be a gimmick. Actually, scratch that - be a gimmick, just own it. There's no shame in embarassing yourself for the world's amusement. 10. No matter what, take some "me time." If me time for you involves sleeping on a bed of money? Do it, and make sure people know about it! 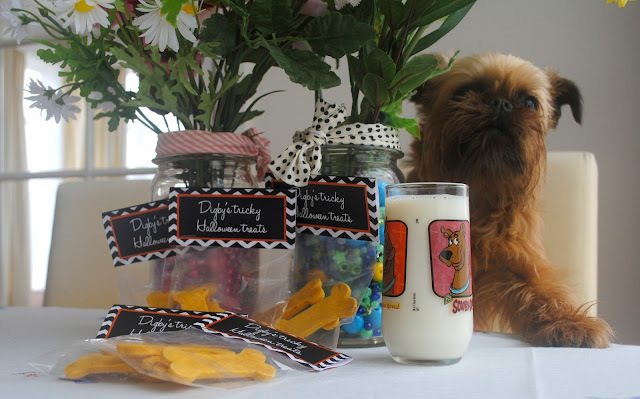 Digby's Tricky Halloween Treats - Pumpkin Spice Dog Cookies! These yummy dog cookies are great for both canines and humans alike - Digby loves them and so do we! They don't take long to make and they are super crunchy, and, best of all, they're gluten free. 2. 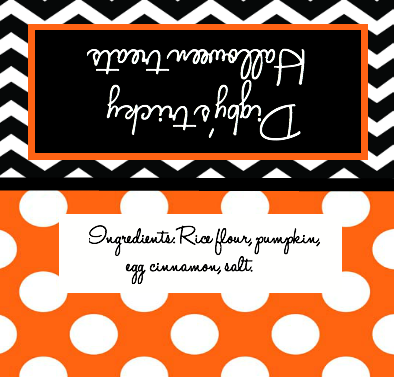 Blend eggs and pumpkin together; add salt, flour and cinnamon. 3. Add water as needed to make the dough somewhat workable (We didn't need any). The dough should be dry and stiff, don't be concerned with crumbs being left in the bowl. You will need to mix this with your hands because it is too stiff for an electric mixer. 4. Roll to 1/2-inch thick. 6. Place 1" apart on ungreased cookie sheet (they don't spread at all though but you do want to have airflow around the cookies, so closer than that will work - just don't let them touch!). 7. Bake for 15-20 minutes on one side, then turn over and bake another 10-15 minutes. If you want to use Digby's awesome label, feel free to save the image below. 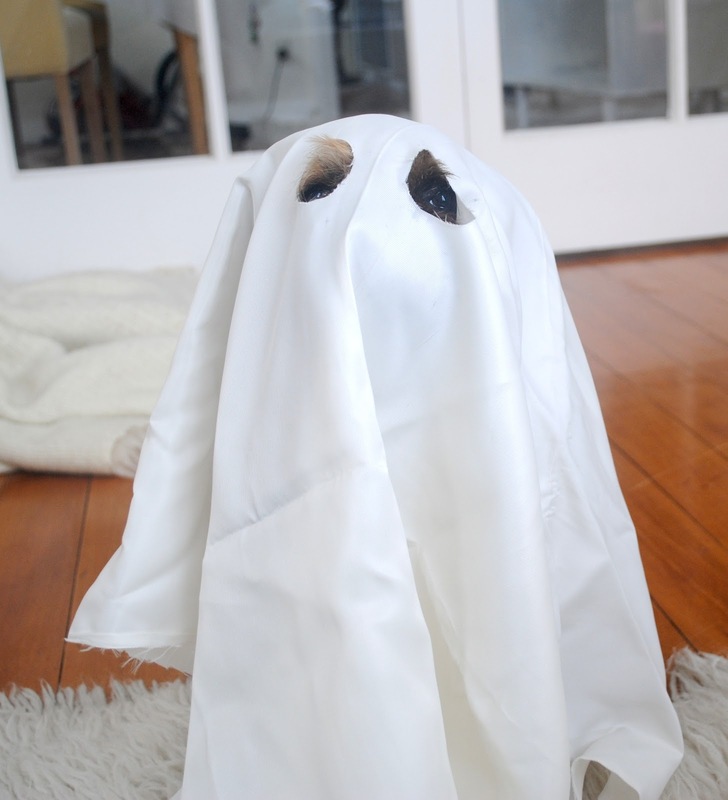 Happy Howloween! 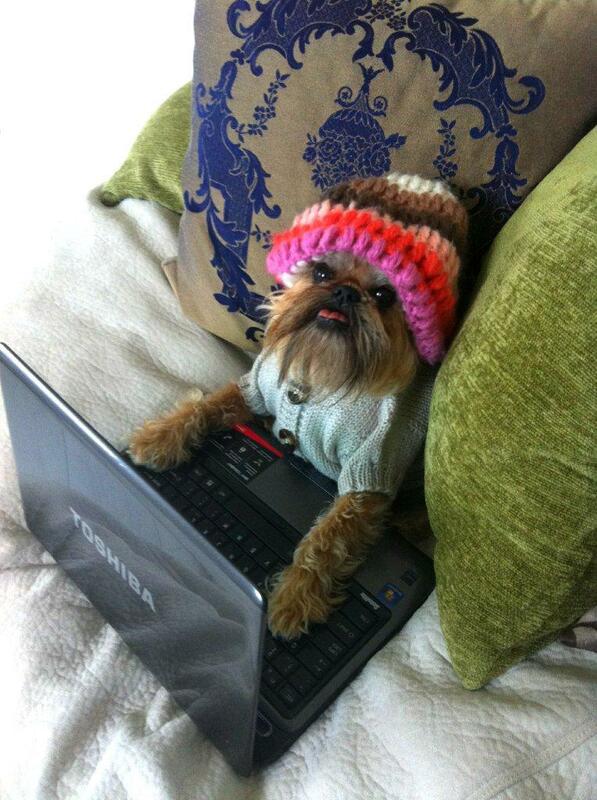 Make sure to share pictures of your pooch enjoying these treats on Digby's Facebook page. Guest Columnist - Ask Imbi! 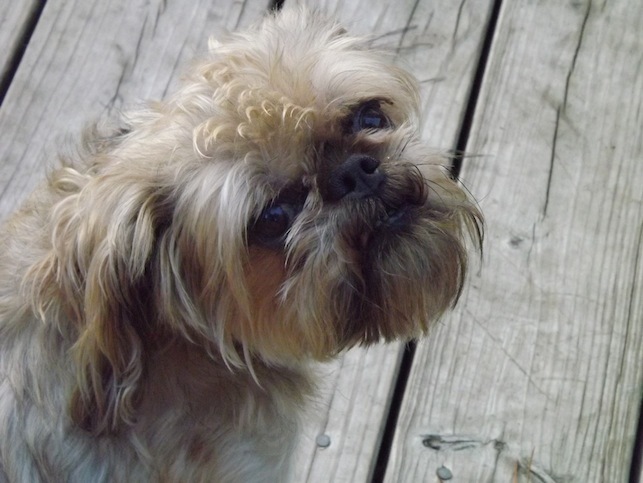 From "Little Monster Alfie"
My name is Alfie and I am 1 year old. I have SO much happy energy! My mommy lovingly calls me a little monster. Whenever I see a person, I try to jump on them. I just love people so much and I love getting attention. If my mommy tries to prevent me from jumping, I cry. Aside from my jumping, I also like to nibble on hands. I don't bite hard, but sometimes I get so excited that I try to hold people's hands in my mouth. Because of this a lot of people are afraid of me, especially kids. My energy levels are so high that I just can't control my happiness. It starts with a tail wag, then a full body wag, then I start jumping and then the hand nibbling. My mommy has tried to help me through exercise. We play a lot after work (I have lots of toys), we go on walks, and we go to the dog park as often as possible (usually just weekends because mommy works late). But I am like an energizer bunny! How can I control my energy and make people not afraid of me? I will try anything!!! The 13 Project is a Pretty Fluffy initiative that involves 13 acts of kindness towards animals before 2013. Inspired by my involvement in last year’s 12 before 2012 project, I wanted to make the tail end of 2012 count. We have exactly 13 weeks left of this year, so what better way of embarking on a list of 13 achievable and worthy goals before the year is out. To join, all you have to do is come up with a list of up to 13 ways you can help animals before the end of 2012. You don’t need to be a millionaire, you don’t need to have a website, or be a member of a rescue organisation…All you need is the desire to make a difference. If you’re time poor, make your list just one goal – or 3 or 5 things." When I heard of the 13 project I knew I wanted to be a part of it - but I was a little skeptical about how much I could actually do to help animals. For one person to make a big difference is an impossible task, but then I realised something. The idea of the 13 project is not for one person to make a whole lot of difference, but for a whole lot of people to make a difference for even one animal. 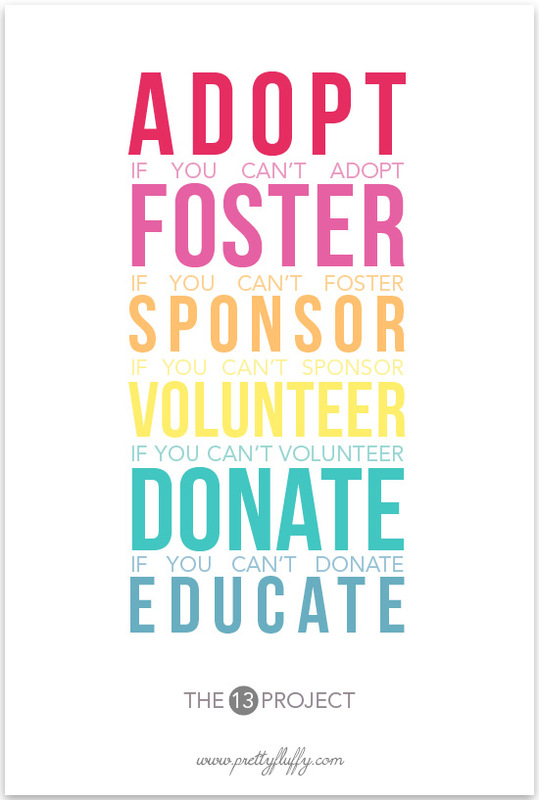 Whether it be walking or playing with a shelter dog or even adopting one into your life, there are a vast number of ways we can all help out. Before I launch into details on Digby's Bacon Drive, I'd like to share the rest of my list first. It's not much, but that's the great thing - it doesn't have to be. I've only got five and they are nothing compared to what other people are doing, but they're meaningful and achievable and that's the main thing. 1. Donate Digby's old toys to a worthy animal rescue organisation. 2. Help to educate people! When a child approaches my dog I will make every effort to teach them the right way to approach a dog, no matter how small the canine may be. 3. Volunteer. I will give one hour of my time to the Wellington SPCA's Dog Squad, raising awareness and funds to help the animals in their care. 4. Take pictures of some shelter dogs to help them find a new home. 5. Raise over $100 for Digby's Bacon Drive**! I told Digby all about the 13 project, and why it's important - he didn't know about all of the dogs out there who didn't have a loving family to spend their days with. This really spoke to Digby, and so he's asked me to help all of the dogs living their lives in a shelter to party big before they meet their new family! I asked him what he loved most about living in a family and he said "Bacon!" (why was I surprised?) so I've decided to start a campaign to bring bacon to the animals who are living at the Wellington, New Zealand SPCA. Treats are one of those little extras that shelter dogs don't get enough of, so while I try to find a way to help them find homes we're putting the word out to you, Digby's online friends. We'd like to buy them some treats. Not just any treats, but the best kind - bacon! By contributing to Digby's bacon drive you'll be bringing a dog over in our little corner of the word a happiness that they will surely be missing. We'll make sure to photograph the final result - Digby delivering the bacon to his friends at the SPCA just in time for Christmas. And now I'm putting a challenge to you: Can you do just one thing to help just one dog? Let me know how you plan to help out and challenge me to do the same. Digby wanted you to know that sending him treats totally counts! Guest columnist - Ask Imbi! Digby has invited his Australian friend Imbi (more commonly known as Noodle Brains) to help out on his blog! He took the opportunity to seek her advice on a very serious issue. Not only is she here for Digby, but she's here for you, too! Details on submitting your own question will be at the end of this post. Imbi and her family (fuzzy and bipedal - Phyllis is both) can be found on Facebook, Instagram and at miyowandbarkley.com. Imbi is ready to answer your questions! Doesn't she look lubbly and thsmart? I think something strange is going on at our house. The humans are acting all weird. Instead of taking me to the beach every day after work they're taking me for a walk in the street and then when we get home I'm expected to eat instead of play, even though it's light outside now. They're packing all of our things into boxes (even my glasses and plaid shirt!) and taping them up. I don't want to give away all of my things! Thankfully the treat jar has been untouched but they just keep going! Soon we'll run out of things to put in boxes - will they then just get more things and fill our entire lives with cardboard? Sometimes I try to stop this behaviour by destroying the boxes. There's more of them hiding in the other room and the more I chew the boxes and rip them to shreds, the more they bring home! I think the humans might be unwell. My question is, should I take them to the vet, or try to nurse them at home? And what do I do about the beach until then? I'm missing my friends and I'm worried that the humans will never recover and we'll have to live in a box, too! I can't live in a box. What will all the other dogs think? Ask Digby - Katherine and Buddy! I notice that in some of the pictures you post on instagram that you have a Dog harness.